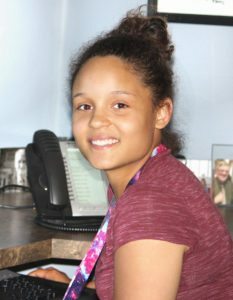 Youth at Work, a new program in 2016 from the Minnesota Department of Employment and Economic Development (DEED) resulted in a partnership between the St. Cloud WorkForce Center and St. Cloud School District. VITAL WorkLife was fortunate to host 2 student interns involved with the program this year. The students, Khadar Abdi and Aliyah Price were placed at VITAL WorkLife by WorkForce Center career counselor, Chris Perrier. According to Perrier, the program seeks to help students from diverse cultural and financial backgrounds explore careers and find part-time work related to their interests. Perrier meets with Tech High School students to discuss and answer questions regarding their interests in medicine, education, social work, engineering and computers. They use the Minnesota Career Information System (MCIS) and the Minnesota DEED website to research jobs, salary ranges, graduation outlook, and educational opportunities. Students also practice interviews and work on resumes. Nicole Hale, VP of Operations for VITAL WorkLife, explains the positive experience from the host company’s perspective, “We had our first youth intern from the St. Cloud Chamber of Commerce program last summer. It worked out so well we asked her to stay. So when Chris asked us about the Youth at Work Program, we wanted to give it try. The collaboration between VITAL WorkLife and the Minnesota WorkForce Center alleviated the recruitment and administrative aspects of an internship program and we’ve been able to work with some very talented youth. We’ve had great experiences and we have called back interns for work on projects even after the internship is over. The interns have helped staff from becoming overburdened and have been able to get some extra projects done. The program is an inexpensive resource, as the pay is covered by the Minnesota Workforce Center. We’re able to support our local students by helping them gain experience, develop skills, make connections, strengthen their resumes, learn about a professional field and assess their interest and abilities." Perrier says, “We try to place the students in an internship-style job with a local employer to give them experience in their career choice. VITAL WorkLife worked out perfectly for us because they offered experiences in mental health, computer, office work and even some entry-level accounting. I was very thankful VITAL WorkLife was willing to work around school activities, bus schedules, the students activities and homework, but I was more impressed by how patient and helpful everyone at VITAL WorkLife was to the students. These kids might not get the chance to work in an office, it might be their first job experience or they may even have some language barriers. VITAL WorkLife is an excellent community partner and role model." For more information about our comprehensive suite of well being solutions, call 800.383.1908. Click on the links below for more information about the Youth at Work Program. VITAL WorkLife, Inc. is a national behavioral health consulting company providing solutions to support all dimensions of an individual’s well being, while assisting organizations with improving employee engagement. Our approach consists of guiding employees, their families and their organizations in building sustainable, healthy behaviors and cultures. With over 35 years of experience, we have expanded beyond traditional employee assistance programs (EAP) and now offer comprehensive and holistic well being solutions including customizable programs, coaching, training, consulting and leadership development. We have deep experience in education, manufacturing and health care, especially assisting physicians and providers in dealing with the unique challenges facing their profession. Visit us at VITALWorkLife.com. If you are a member of one of our solutions, call us any time, day or night, for the support you and your family need. 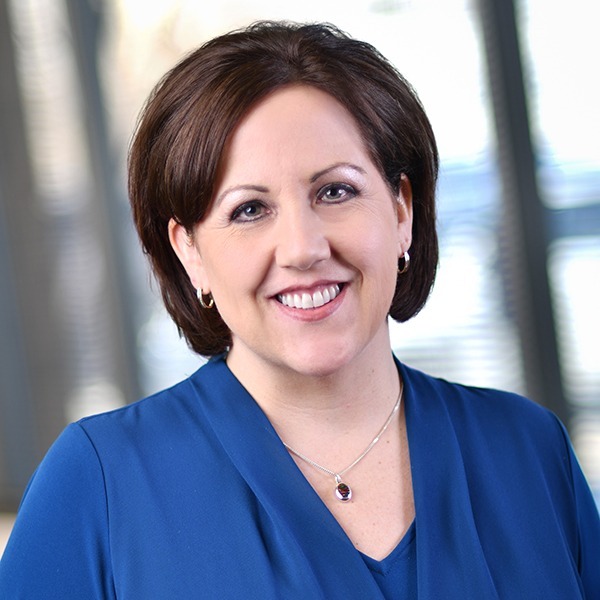 Nicole Hale, VP of Finance and Administration, joined VITAL WorkLife in 2004 as Business Manager. Her strong contributions to the company led to her promotion to Director of Finance and then to VP of Operations. Nicole previously served in management, finance and human resources for companies in the healthcare, staffing and financial services sectors. Nicole holds a BS degree in Finance and Accounting from St Cloud State University.